Finding themselves in Florida, the Panthers often fly under the radar. 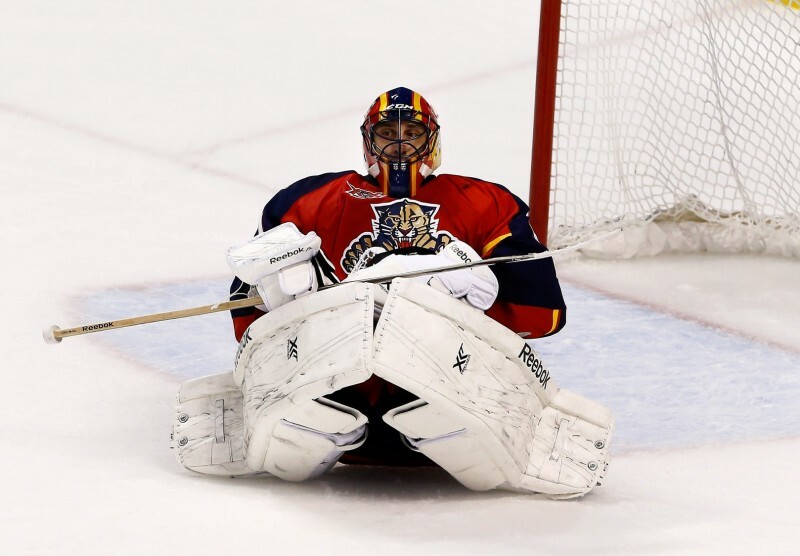 But with Roberto Luongo back in the Sunshine State, the hockey world is starting to take notice once again. While the club has had a hard time attracting fans and finding their way to the playoffs, they’ve slowly built a young franchise filled with early first-round picks. 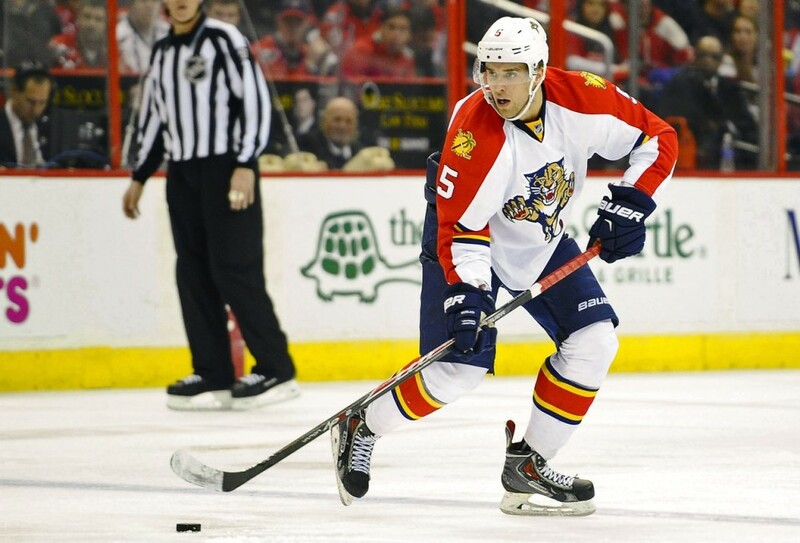 Now, with Aaron Ekblad a part of their youthful defence core, the Panthers are looking to become an impact team again in the East. And while they may be young in age, Florida’s roster is full of veteran players who continue to push the seals on individual and franchise statistical marks. Every team has their older, veteran players leading the up-and-comers into battle night in and night out. In the case of the Florida Panthers, these players come in the form of guys like Luongo, Brian Campbell, and Willie Mitchell. While these veteran look to continue padding their own career stats, the young players are only starting out in seeking milestone after milestone. While the Panthers roster is filled with young players waiting to stamp their names in the franchise record books, there are some players who have been with the big club for some time. Whether they’ve been developed through the Panthers system or in their second stint with the club, there are some players on the team that are climbing their way through the ranks. Dmitry Kulikov (358) needs 5 games played to pass Ed Jovanovski (362) for 14th on the team’s all-time list. Al Montoya (15) needs 1 game played to pass Mikhail Shtalenkov (15) for 19th on the team’s all-time goalie list. Tomas Fleischmann (52) needs 2 goals to pass Jay Bouwmeester (53) for 18th on the team’s all-time list. Brian Campbell (110) needs 21 assists to pass Ray Whitney (130) for 10th on the team’s all-time list. Dmitry Kulikov (89) needs 10 assists to pass Bill Lindsay (98) for 14th on the team’s all-time list. Tomas Fleischmann (87) needs 3 assists to pass Dmitry Kulikov (89) for 15th on the team’s all-time list. Tomas Fleischmann (139) needs 4 points to pass Gordon Murphy (142) for 14th on the team’s all-time list. Brian Campbell (132) needs 1 point to pass Rostislav Olesz (132) for 16th on the team’s all-time list. Tomas Fleischmann (8) needs 1 game-winning goal to pass Mark Parrish, Johan Garpenlov, Kristian Huselius and Viktor Kozlov (8) for 17th on the team’s all-time list. Al Montoya (4) needs 1 win to pass Jani Hurme (4) for 17th on the team’s all-time list. After dealing with the up and downs of goalie controversies in Vancouver, Roberto Luongo returned to Florida where he once again sported the Panthers logo. 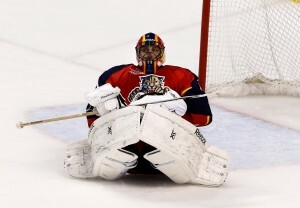 A former fourth overall pick, Luongo’s in his 15th NHL season and has spent parts of seven of those in Florida. With Martin Brodeur officially retiring earlier this season, Luongo becomes the active leader in wins and shutouts. Luongo (844) needs 18 games played to pass Gump Worsley (861) for 10th on the NHL’s all-time list. Luongo (392) needs 10 wins to pass Chris Osgood (401) for 10th on the NHL’s all-time list. Luongo (68) needs 4 shutouts to pass Harry Lumley (71) for 12th on the NHL’s all-time list.